The respondents were asked to tell for each time on a scale from 1 to 10 if they spend little time or an extensive amount of time, where 1 means little time and 10 means an extensive amount of time. Here below the results. Beauty Care covers a diversity of products that address different areas of the body with the aim to enhance how we perceive ourselves and how others perceive us. Not all products are equal in this respect, some may be more involving than others leading to different patterns of use and purchase. The level of involvement varies across cultures and time. How involved are the women in the Middle-East and Africa with the different beauty care products, and is this involvement affected by the cultures of the different countries forming this part of the world? To answer the above questions, REACH and three others members of the WIN/ Gallup International Association conducted a survey in December 2015 in 7 countries in the Middle-East and North Africa region as described in the following table. For the full presentation please contact REACH at [email protected]. 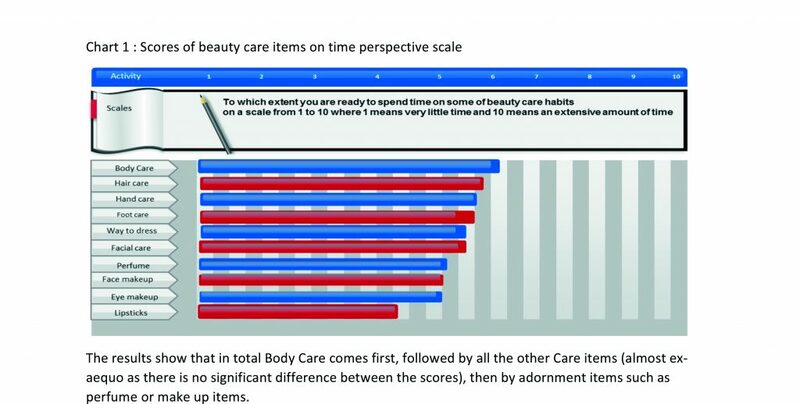 The results show that in total Body Care comes first, followed by all the other Care items (almost ex-aequo as there is no significant difference between the scores), then by adornment items such as perfume or make up items. The importance given to Body care indicates a high level of involvement on behalf of the respondents. On the other hand, the fact that Care items take precedence over the Adornment items indicates that women in the considered countries are more interested in products that help them to be what they want to be than in products that help them look how they want to look. Being is more important than looking. Considering the answers on a per country basis, we distinguish two groups of countries: •Countries where the women are ready to spend a longer time on beauty care, these are KSA, UAE, Iran and Egypt •Countries where women would like to spend a shorter time on beauty care, these are Lebanon, Palestine and Morocco. Countries where women are more ready to spend time are more likely to adopt products that though tedious to apply are likely to have a longer lasting effect, whereas countries where people are less ready to spend time will look for products are easy to apply and with more instant effects. This is also possibly due to the fact that in the former countries the women have more time to spare, whereas they have less such time in the latter countries. The second question investigated what is the touch point that would drive a first time trial of a new beauty care product. Here also, Personal Experience, Reputation and Value for Money top the list. 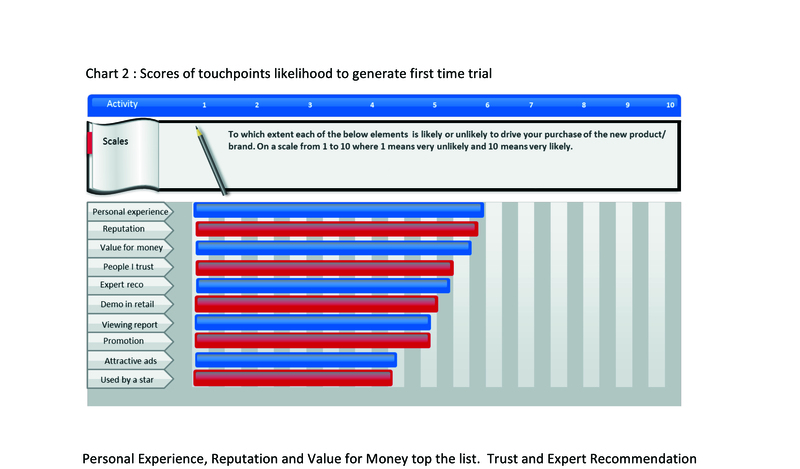 Trust and Expert Recommendation are second in the hierarchy. Attractive Ads or Used by a Star are at the bottom of the list. This shows that the women who answered the survey want to judge by themselves, build their decision on deliberations of efficiency and safety, and take into account what they get for what they pay. They do not hesitate if needed to back up their own judgment by what they hear from people they trust or by those whom they perceive as experts. They are less tempted by imagery and emotional considerations.